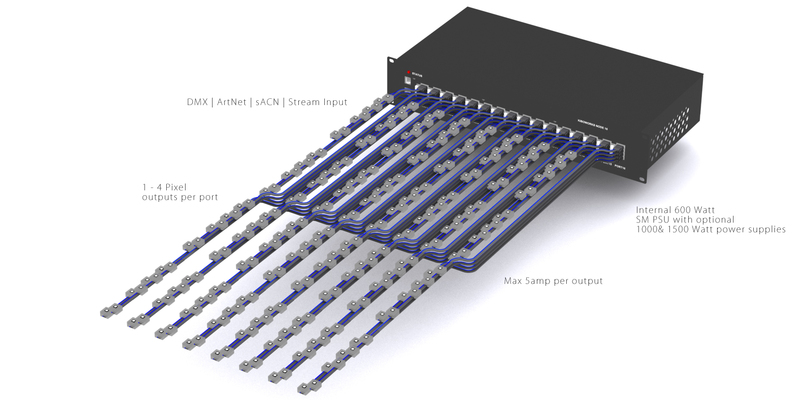 2720 & 5440 RGB Pixel Engine for DMX, ArtNET, sACN and Stream protocols. 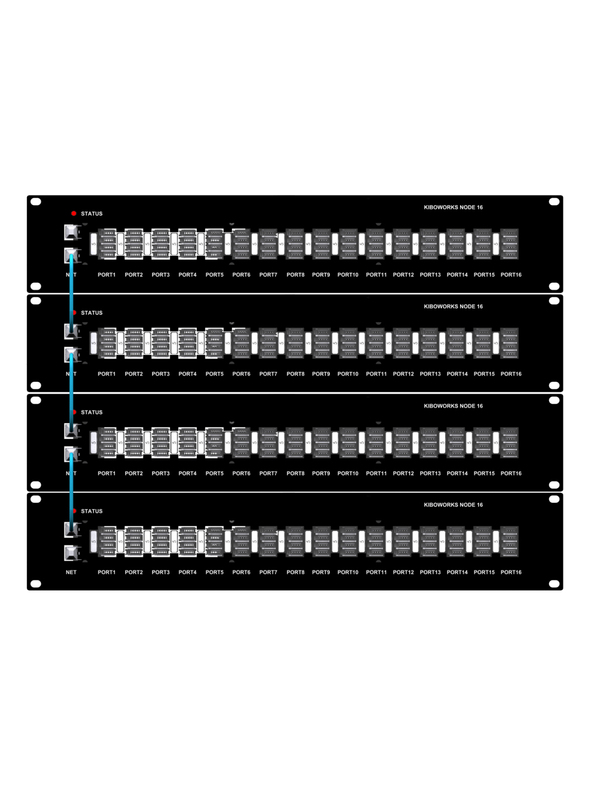 The KiboNode Rack 16 is a 16 Universe DMX Playback Controller with multiple output protocols. Ultra compact, reliable with no moving parts like fans or hard disks, the KiboNode is a sophisticated solid state lighting playback controller. The controller can be DIN rail or wall mounted. 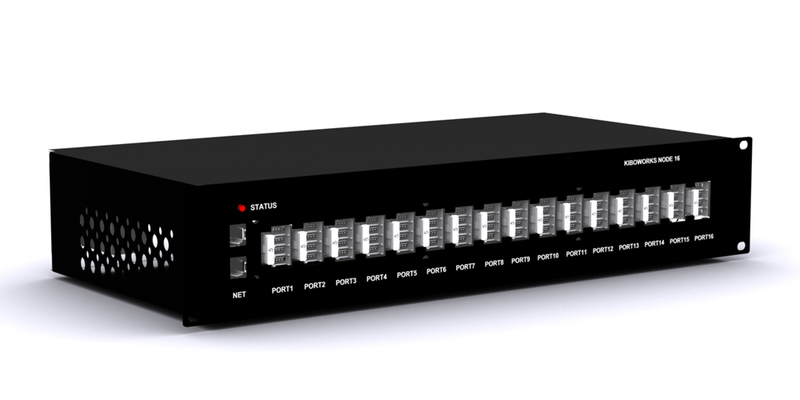 The KiboNode can be used Standalone or multiple units can be used together for larger installations and synchronized automatically over Ethernet. The units have an internal web interface giving status and configuration information for remote monitoring, and either Ethernet or USB can be used to connect to the PC running the media server software during programming. 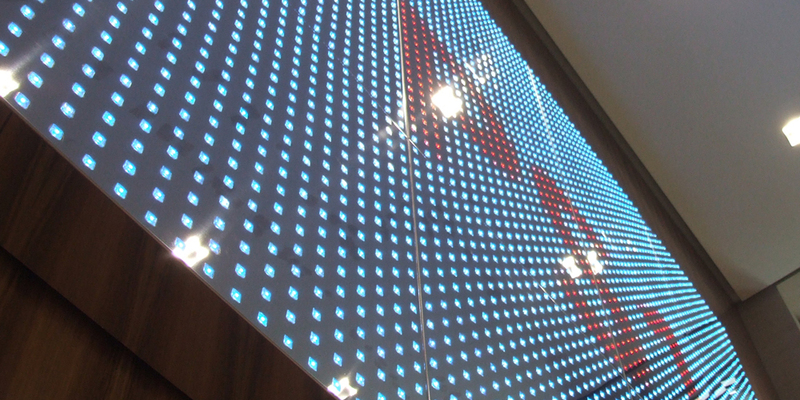 The KiboNode supports a variety of gamma tables to ensure the LED product can display the full spectrum of color even when lighting is at minimum levels. Advanced features include color correction per pixel, color adjustment per string or tape. In addition pixel duplication, addressing and built in test patterns make the KiboNode the most advanced lighting controller on the market today. Many hours of playback are possible using the onboard microSD card slot. 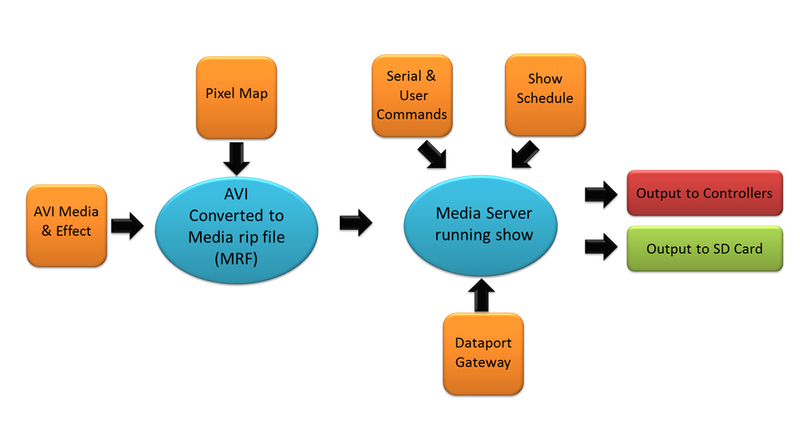 Media content and shows can be downloaded on to a card or split to a number of cards for very large displays via the Media Server PC application.